HKM Mobiles & Accessories deals in mobiles and accessories. 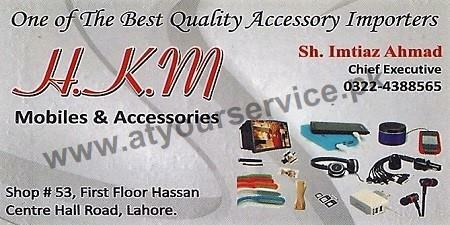 HKM Mobiles & Accessories is located in Hassan Centre, Hall Road, Lahore. It deals in mobiles and accessories.